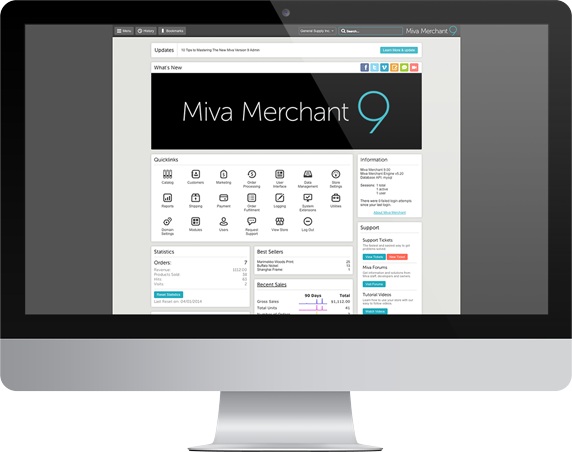 A seat is the number of simultaneous active sessions in your Miva Merchant Admin. You will need one seat license per logged in user. Example: If you like to be logged in at the same time as your webmaster, you will need two seat licenses. Number of seats are determined by your plan type. You may have as many users as you like, but if you need more users to be logged in simultaneously you must purchase a license for each additional concurrent user. Each Additional License costs $50/month and can be purchased from the Miva Merchant admin. 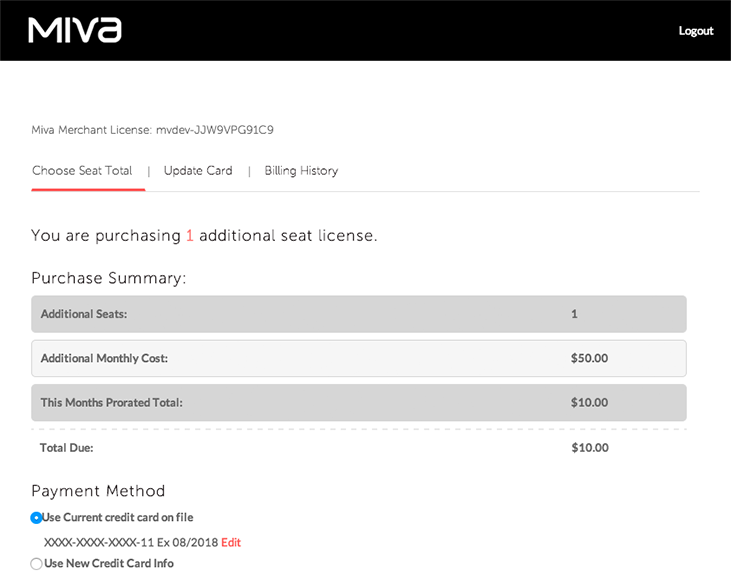 Note: It is important for anyone who has an automated integration with Miva Merchant to purchase a seat license for this integration to use. However, multiple integrations may use the same seat license. When attempting to log into a store admin which already has the maximum number of logged in users, you will be presented with a lockout notification screen. Admins can force-logout another user session, then log in themselves, or buy additional seat licenses to accommodate their needs. Additional seats can be purchased from the lockout screen or via a link right from the Miva Merchant Admin. 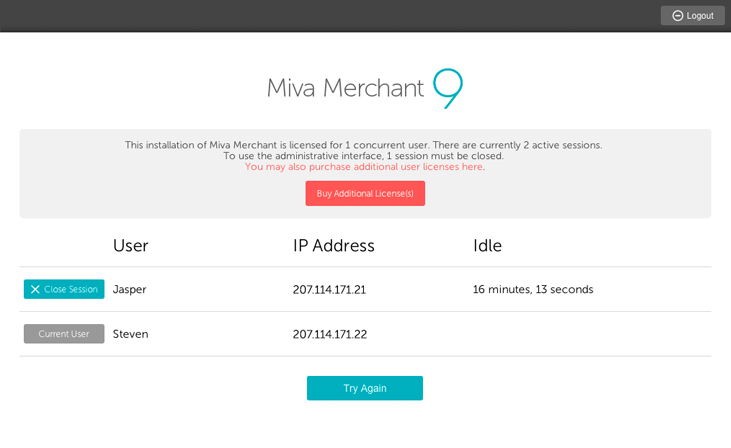 You can manage your additional seats from your Domain Settings tab in the Miva Merchant Admin. Here, you may add new seat licenses (even if you're not at your limit) and you can remove them with ease. Although you can create an unlimited number of users at no additional cost to you, the Miva Merchant software only comes with a single Concurrent User license This video explains what how concurrent seat licensing works, and what users will see when logging into a store with all available seats occupied. 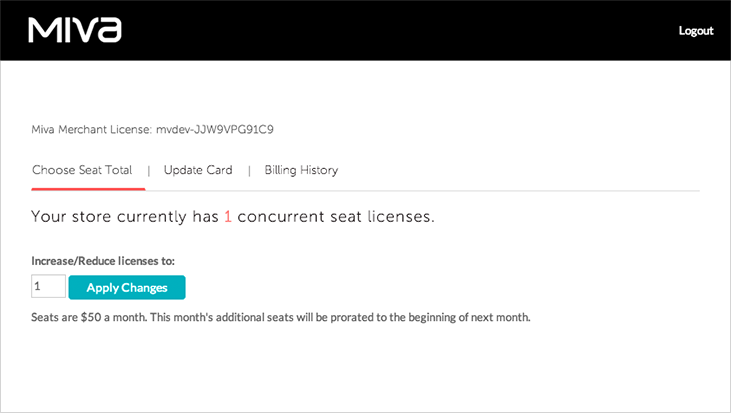 You can review and manage your store's concurrent seat licenses via your Seat Billing Account, found in the Domain Settings area of your store admin. This video shows you how to add and remove additional seat licenses, update payment information, and access the billing history of your Seat Billing Account.